The ArtEZ Academy of Music pays a great deal of attention to health as part of its music courses. After all, professional musicians are like top-class sportspeople in a way. They, too, are subject to great physical and psychological demands, which can lead to complaints and injuries. Musicians suffer from an above-average rate of occupational health-related complaints. The ArtEZ School of Music wants to focus on this in a positive way and inform, train and supervise students, with the objective of increasing awareness and teaching them basic Body, Mind and Communication skills. During an introductory day, starting students learn about the products and services offered by the Music & Health desk. Practical skills are trained in workshops or during project days. In Music & Health elective courses, students learn more about Body (such as Dispokinesis, Mensendieck, Feldenkrais, Alexander technique), Mind (haptonomy, Mental Practice) and Communication (Lichtenberg, speech therapy) techniques, either individually or in groups. Additional screenings are available periodically, such as phonetography (vocal range profile measurements) and audiometry (hearing acuity measurements). Customised earplugs are available at a discount. Theme nights are organised from time to time, some of them in cooperation with external partners. There is a database with addresses, links and resources for more background information. The Music & Health desk can be consulted for advice or for contact information about internal or external health care professionals with a specific expertise or affinity with musicians. ArtEZ Music & Health has a large external health care network through, among others, a partnership with the National Centre of Performing Arts and membership of the MVDMG Dutch Performing Arts Medicine Association. We understand that driven musicians work from a perspective of passion. Your instrument needs to be in top-condition to do so. At the same time, however, so does your body – physically, mentally and communicatively. You need to be in a healthy, sustainable and optimal condition to be able to perform artistically, without pain, discomfort or injuries. For this reason, the ArtEZ skills lab Music&Health is responsible for your knowledge and mindfulness of your personal ‘instrument’ and for teaching you to use basic mental, physical and communicative skills. For example: healthy studying, dealing with stress, protecting your ears, physical preparation and restorative exercises, healthy use of voice, and life style. We offer a regular programme to all students, as well as electives for those who would like to learn more in smaller groups. During an introductory day, you learn learn about the products and services offered by the Music & Health desk. In Music & Health elective courses, you learn more about Body (such as Dispokinesis, Mensendieck, Feldenkrais, Alexander technique), Mind (haptonomy, Mental Practice) and Communication (Lichtenberg, speech therapy) techniques, either individually or in groups. At the Music & Health Office Window, you can ask for individual advice or be referred to a specialised physician. 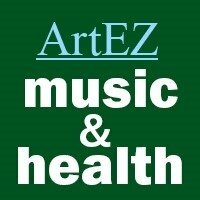 ArtEZ Music&Health is connected to the NVDMG (Dutch Association for Dance and Music Medicine), and to the NCPA (National Centre Performing Arts).